Front Rim 3.00 x 21"
Rear Rim 3.50 x 20"
In pre-war days, the Norton Model 30 had been the racing flagship of the range, but by World War 2 the pure racers had already begun to diverge from the publicly available International. When post-war production resumed in 1947, the 'Inter' had found a niche as a fast sporting roadster, and its single overhead-cam engine had become a vastly different proposition from the double overhead-cam racing Manx models. 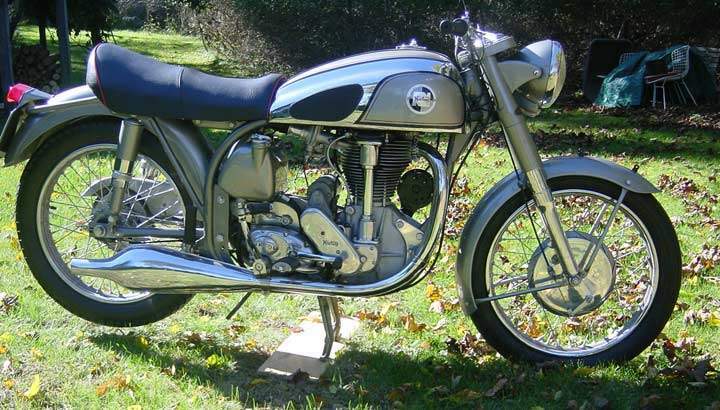 The Inters achieved steady, though limited, sales for the next few years, and while some die-hard enthusiasts continued to race them in amateur competition, they were becoming dated against competition that included Triumph twins and the BSA Gold Star. Even so, several Clubman's TT winners of the late 1940s were mounted on Internationals fitted with special racing equipment, including an alloy cylinder barrel in place of the roadster's cast iron. The final stage of development of the Inter came in 1953, when the alloy engine was installed in Norton's latest racing frame, the Featherbed, together with a new gearbox of the current design. In this form the International won its final Clubman's TT, although the Featherbed model was really intended as a sports special for fast road work. The International's Featherbed frame was not quite a replica of the pure racers, but it was built to a higher standard than its roadster brothers. In any form, the Featherbed became the standard by which all handling would be judged for two decades, and with some of the best telescopic forks in the business, and braking to match, it could be pushed to the limit of its engine's considerable performance. As a racing engine the 490cc overhead-cam unit although supremely rugged and reliable, was not very practical. It could be tricky to set up, with running clearances adjusted by numerous shims, and an oiling system that relied on several hard-to-reach adjustable jets. The valves remained exposed resulting in incurable oil leaks. Roadster silencing stifled performance, and by the late 1950s it was possible to get the same level of power from a Norton Dominator. But such complaints missed the point. 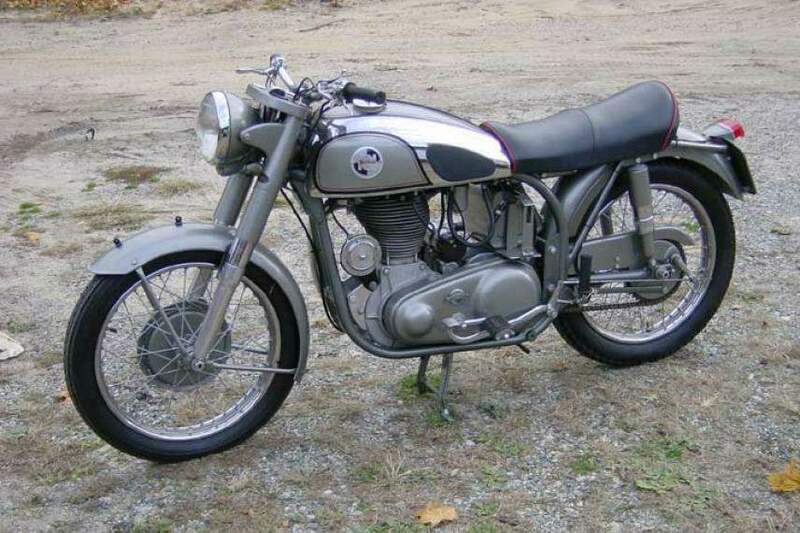 Full of class, sound and fury, the Inter both handled and braked superbly and allowed its lucky owner to believe that he was riding a real racer on the road. The International was always expensive and by 1956 it was made to special order only. The last of the line left the works in 1958, when fewer than 20 were made. But the Inter had a pedigree borrowed from some of the most famous British racers, and a performance that kept riders enthralled for decades.